Hugh Davies (PhD) is an associate professor at the School of Population and Public Health (SPPH), University of British Columbia, with a background in chemical and physical exposures in the workplace and in the community and the founder and leader of the CWED project. He is also the co-investigator of CAREX Canada. He led the largest cohort study of the impact of noise exposure on heart disease, and was the first to incorporate sophisticated exposure measurement and true heart disease outcomes rather than measures of hypertension. His work has received international recognition, and he is co-chair of the International Commission on the Biological Effects of Noise. Larry Frisch is a pediatrician with U.S. specialty board-certification in preventive medicine and public health. He is a clinical faculty member of the UBC School of Population and Public Health and an assistant director of the Vancouver Coastal Health Research Institute. Prior to his return to BC he held the John S. and Doris M. Andrews Chair in Community Health at Northeastern Ohio Universities College of Medicine where he was also the PI for a U.S. EPA project providing education on children’s environmental health to pediatricians in Central Europe. Larry has taught courses on environmental health and climate change and has been BCEOHRN’s treasurer for several years. Sarah Henderson is a Senior Scientist at the British Columbia Centre for Disease Control (BCCDC) and Assistant Professor in the School of Population and Public Health at the University of British Columbia (UBC). Her mandate at the BCCDC is to conduct applied environmental health research to support good policy in a wide range of areas, including extreme temperatures, industrial emissions, radon gas, water quality, and air pollution from multiple sources. She specializes in addressing these questions by developing novel methods that combine multiple sources of environmental data with administrative health data to conduct population-based epidemiologic research and public health surveillance. 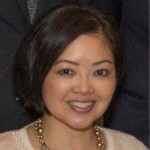 Lydia Ma is the Continuing Education Director at the UBC SPPH and is also the Manager of the National Collaborating Centre for Environmental Health. Lydia holds a doctorate degree in Pathology and a master of science in Occupational and Environmental Hygiene from UBC. She joined UBC in 1998 with a mandate to create, develop and implement a continuing professional education program for occupational, environmental, and public health professionals. At the NCCEH which is one of six centres in Canada that was created to foster linkages within the public health community, Lydia works with a team of knowledge translation scientists, information specialists and research analysts to synthesize, translate and exchange knowledge on health risks associated with the environment, and to identify gaps in research and practice knowledge and builds capacity through networks of environmental health practitioners, policy-makers and researchers. Kathleen McLean (MPH) is an environmental health scientist at the BC Centre for Disease Control, currently involved in projects on the health effects of air pollution and environmental health surveillance. She holds a Bachelors degree in Chemical and Biological Engineering from UBC and a Masters in Public Health from SFU. Since 2006, she has worked on various research projects including the Metro Vancouver noise map study (at UBC) and the Canadian Healthy Infant Longitudinal Development (CHILD) study (at SFU). Kathleen worked on building the BCEOHRN’s membership database as an undergraduate student, an experience that sparked her interest in environmental health research. 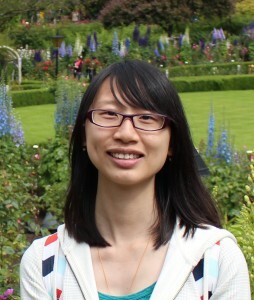 Jiayun Angela Yao is a PhD student at the School of Population and Public Health, University of British Columbia. She received her Bachelor’s degree in environmental science in China and her Master’s degree in occupational and environmental health from UBC. Before starting her PhD, she worked as an environmental health scientist at the BC Centre for Disease Control on multiple projects related to air quality and public health, including surveillance and epidemiologic studies on forest fire smoke exposure, as well as the impact of the AirCare vehicle emission inspection program on mortality. Her PhD thesis will focus on the very acute health effects of forest fire smoke exposure in BC. Tanya Wahbe is an applied conservation ecologist interested in the human-environmental health intersect, indigenous community health, and food security. She earned her MSc (1997) and PhD (2003) in wildlife ecology and population genetics from the UBC Centre for Applied Conservation Research. During postdoctoral training at the UBC Institute for Aboriginal Health, Tanya evaluated impacts of environmental contaminants on traditional foods and community health of two BC First Nations. In partnership with indigenous people in Ecuador, she co-lead an international development project in food security that promoted youth leadership and gender equality. Tanya worked for two years as BCEOHRN’s Research Capacity Development Officer. She is currently Director of West Coast Programs at the Nature Conservancy of Canada, BC Region.